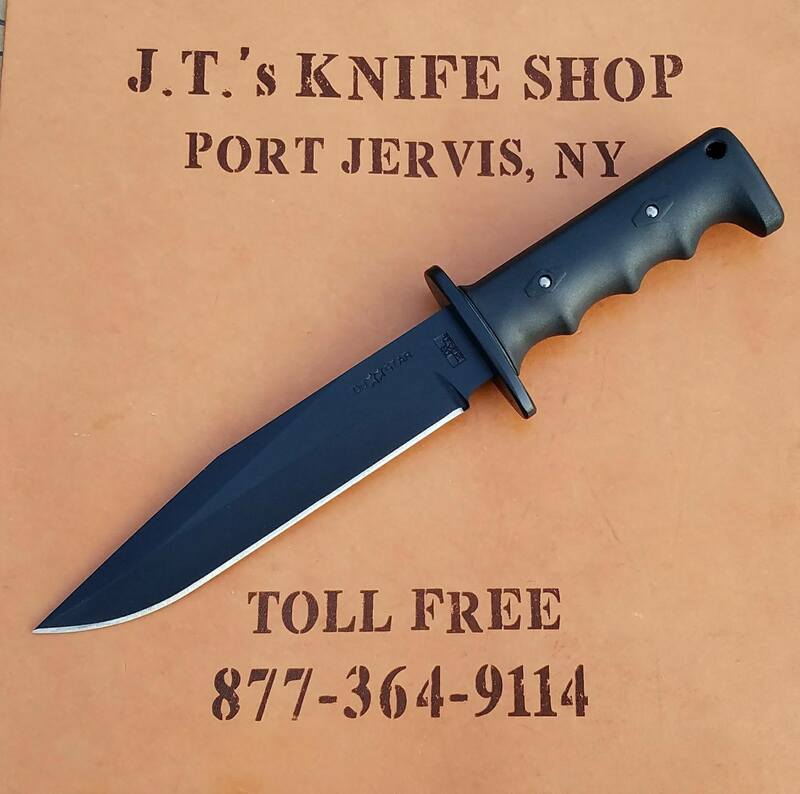 The DUSTAR Model 1 Arad is a classic design with a clip point style blade and guard. The D2 tool steel blade is black coated and has a false back edge. The tough FRN handle is attached by two hardened steel pins that will not loosen even under the most demanding conditions. The Model 1 Arad includes a nylon sheath with an external pocket. 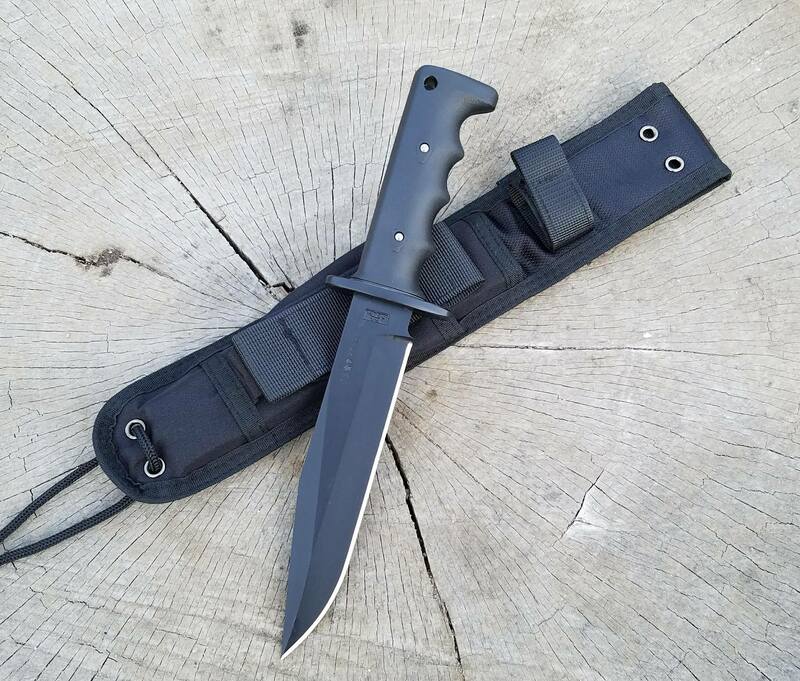 The Model 1 Arad is the first-ever fixed-blade, heavy duty, all purpose utility/field/combat knife conceived, designed, tested, perfected and manufactured entirely in Israel. This knife was designed by Alex Shamgar, a renowned Israeli custom knife designer and maker; and manufactured by Sherutay Erozia, an ISO 9001:2000 certified manufacturer of molds and dies since 1984. The knife was manufactured entirely by CNC technology.